In its formal response to the Department of Environmental Affairs’ proposed Climate Change Bill, the Life After Coal Campaign has called for a far more robust and proactive Bill. Life After Coal is a joint campaign of non-profit environmental justice organisations groundWork, Earthlife Africa and the Centre for Environmental Rights (CER). “While we applaud the Department for taking this necessary step to regulate climate change, in order for the Bill to have any hope of serving as a useful response to climate change issues in South Africa, it needs to be much tougher about reducing greenhouse gas (GHG) emissions, preventing devastating climate change impacts, and holding emitters and government accountable,” says Robyn Hugo, the head of CER’s Pollution & Climate Change Programme. The Bill must make disclosure and public access to all reports, assessments, and records provided for in the Bill, mandatory. In its current form, the Bill does not require carbon budgets or annual reports on compliance with carbon budgets, for example, to be published or disclosed. “If polluters are not forced to be transparent about GHG emissions and their management, there is no ability for independent researchers to verify data, and for the public to hold emitters to account. Instead, it allows for private deals to be done between government and large polluters,” says Makoma Lekalakala, director of Earthlife Africa. The Bill does not make clear the urgent need to curb emissions or set a clear target and strict emissions trajectory, creating dangerous uncertainty, loopholes, and the risk of further delays. The Bill does not expressly recognise the Paris Agreement commitments – including South Africa’s Nationally Determined Contribution – as legally binding on all organs of state. “South Africa should not be giving itself any space to deviate from those commitments,” says Hugo. The Bill places a large burden on municipalities, provinces, sector departments, and the Minister, without providing for additional capacity, funding, oversight and monitoring. Many such authorities are already failing to fulfil obligations such as those relating to air quality, water, and waste management. The Bill does not go far enough to ensure reductions of GHG emissions, or to hold to account those who contribute significantly to and/or exacerbate the impacts of climate change. 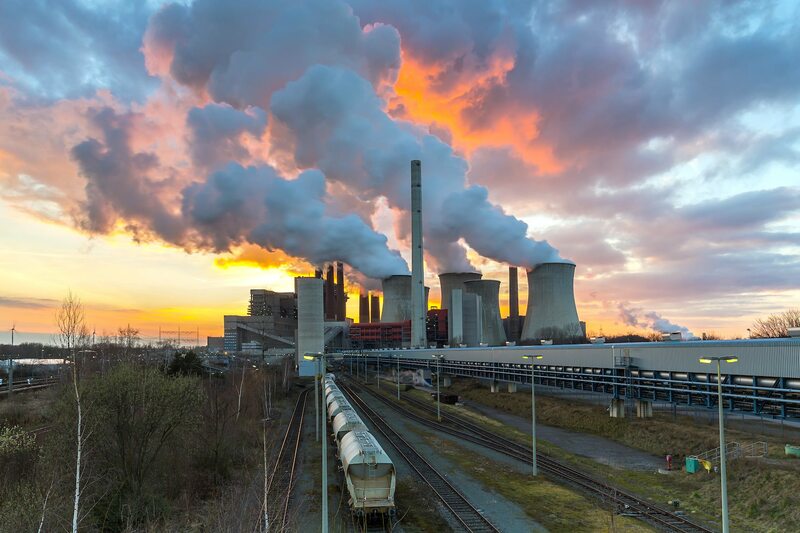 Unless government holds big emitters like Sasol and Eskom to their carbon budgets under the Bill, there is little hope that these will bring about meaningful emission reductions. The Bill’s penalties – a R5 million fine and/or 5 years’ imprisonment on a first conviction – are woefully inadequate to deter non-compliance. “Missing entirely from the Bill is any recognition of the duty of care or climate justice. Companies that knowingly contribute to and exacerbate the impacts of climate change must be held accountable, and be forced to compensate those who suffer these impacts,” says Bobby Peek, director of groundWork. The Bill does not make compulsory the assessment of climate change impacts when approving new developments. If South Africa is serious about reducing GHG emissions, the Bill must provide for independent institutional structures to oversee climate adaptation and mitigation, such as: an independent specialist advisory body; a climate change monitoring and enforcement authority; and an appeal authority. The Bill must establish GHG inventories (a single repository of all GHG emissions data) and the keeping of, and regular reporting on, GHG and other relevant climate change data and information. The Bill should provide for detailed facility-level reporting, transparent auditing, and verification of data. The failure to do so affects the integrity of the entire climate data and reporting system. The Bill does not adequately empower communities and individuals to respond to the impacts of climate change and to hold those responsible (government and emission-intensive industry) accountable. The Bill must improve provisions for education, awareness-raising, and empowerment of communities, who are particularly vulnerable to the impacts of climate change. Peek says: “Tackling climate change now has extensive benefits for health, the environment (including water), jobs and the economy.” A June 2015 Lancet report confirms that tackling climate change could be the greatest global health opportunity of the 21st century. “With air pollution from Eskom’s coal-fired power stations currently responsible for 2239 attributable deaths each year, and coal-fired power being an expensive and unnecessary electricity source, government should not waste any more time in implementing a just transition to a low carbon and climate-resilient society. The Bill must be drastically amended and urgently implemented, in order to deliver environmental justice and prevent runaway climate change,” says Peek.